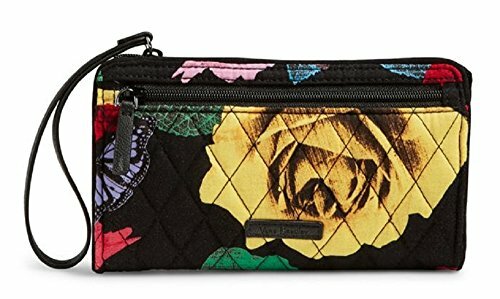 The Vera Bradley RFID Front Zip Wristlet provides RFID protection for credit and debits cards and will hold a larger smartphone. Interior features six card slips and one bill slip pocket. Dimensions 7 " w x 4 " h x 1" d with 6" wrist strap.